The gentle beeping of my alarm clock moves me from my resting slumber. With 1 hour to get to the train station, and get to London, it is time to get up. I think about my day ahead, filled with excitement and wonder at another trip to our wonderful capital. Arriving at Euston just after 7am, I think about my first meeting that is in 3 hours. That 3 hours is going to be a wonderful 3 hours. Walking and enjoying the blend of nature and what we have created in a moment of silent reflection and gratitude. In many ways such a contrast to the walking in the Lake District over the weekend, but still and awe inspiring sight. Crossing London Bridge looking up to Tower Bridge, a walk I know so well, I take stock. 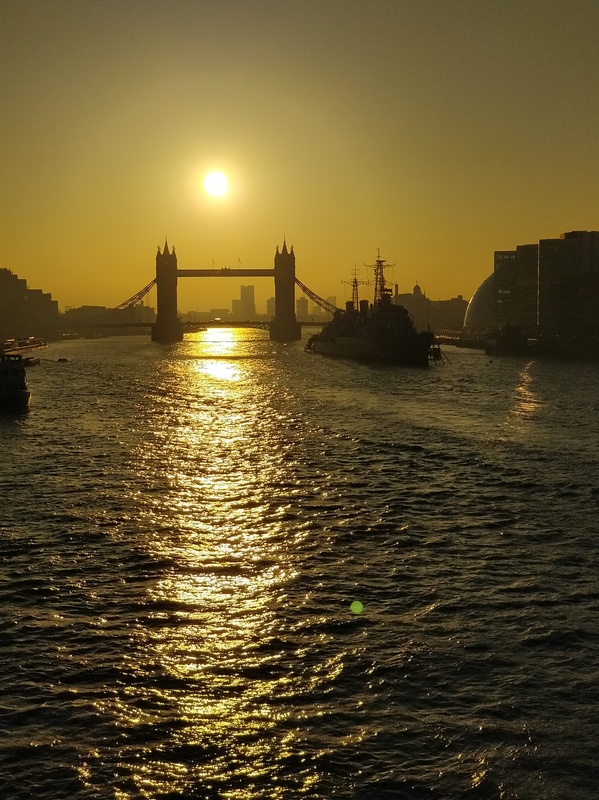 The muddled yellow sunrise, creating mottled blips on the flowing ebb of the River Thames looks just beautiful. It was worth arriving early just for this. Just for this moment thinking about the juxtaposition of natural and man made. I stop and gather my thoughts. As others focus on their daily mission to get through the office door, I have created the space to be grateful, to experience the beauty of what we have, to slow down and collect calming thoughts. As with any other person, life creates its challenges, but it also creates a natural cure.